Hello! 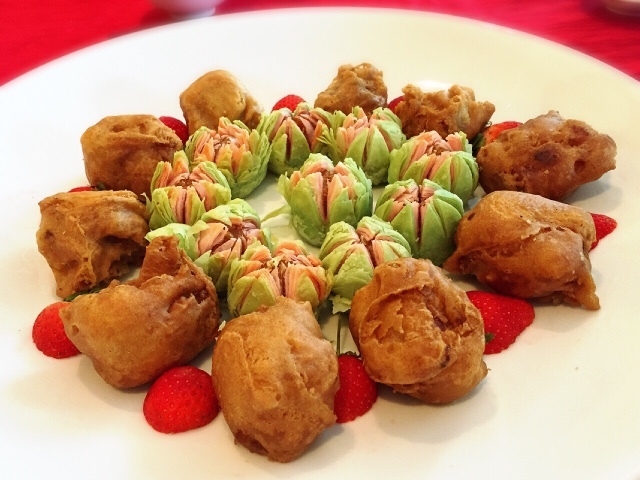 Let's welcome the Year of the Monkey this Lunar Chinese New Year with a memorable experience at Four Points by Sheraton Puchong. 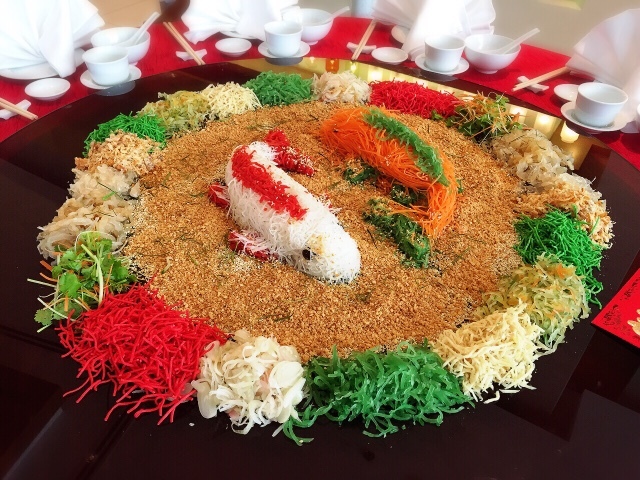 The Lunar New Year festivities starts on 7 February 2016 as The Eatery welcomes family and friends alike to gather for a reunion buffet dinner with tasty dishes such as the Sun Dried Oyster Dumplings, Wok Fried Tiger Prawn, build your own Yee Sang counter and many more. On the First Lunar New Year Day, more choices awaits you with the Dinner buffet priced at RM128 nett per adult and RM64 nett per child between the age of 4 to 12 years old. For banquet menu, Four Points by Sheraton Pouching offers 3 specialised banquet menu that includes delicacies such as Wok Fried Tiger Prawns, Steamed Red Snapper, Double Cooked Farm Chicken and many more starting from RM1,488 nett per table of 10 persons. Salmon Yee Sang with Crispy Shredded Treasures and Blackcurrant-Plum dressing. My 2nd Yee Sang for the year, one of the prettiest too. 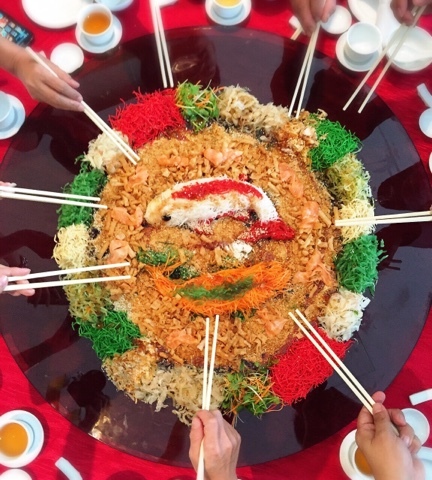 Five delicious varieties of Yee Sang are available for take away and starts from RM65 nett. 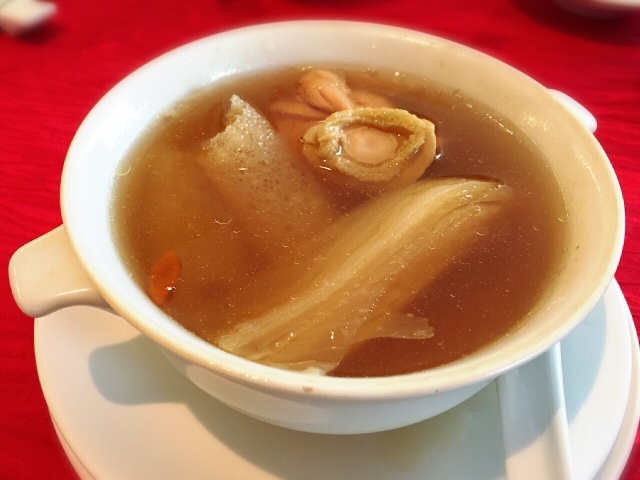 Nutritious Double-Boiled Chicken Broth with Abalone, Dried Scallops, Bamboo Pith and Vegetables. 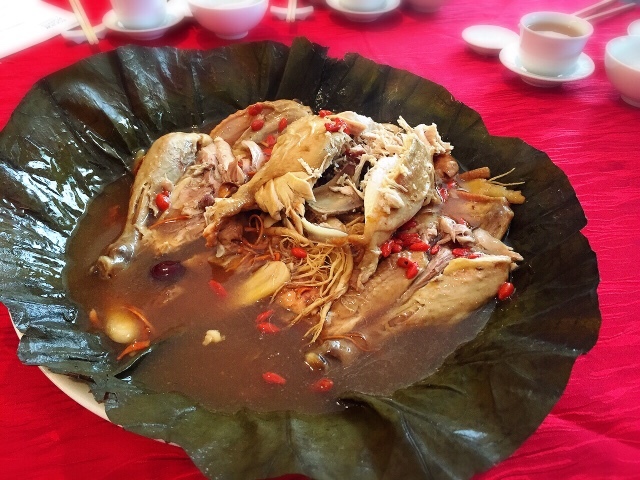 Slow-cooked Corn Fed Chicken with Chinese herbs and Cordyceps is marvellous. 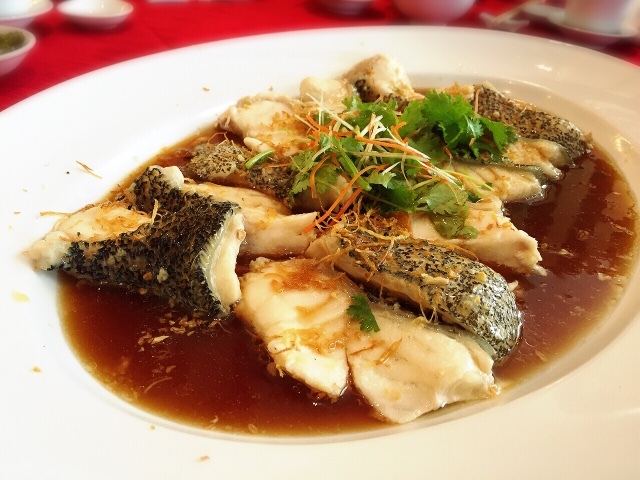 Steamed succulent Sea Nutrition Pearl Tiger Grouper with Golden Garlic, Julienne Ginger and soy sauce. 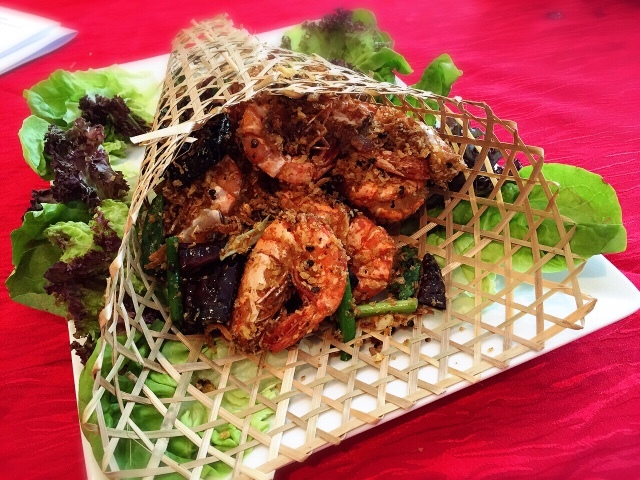 Wok Fried Tiger Prawns with Chillies Garlic Crumbs. 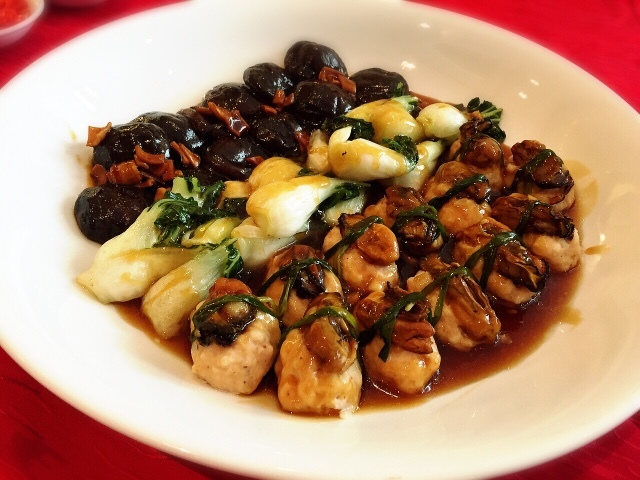 Stir-fried Baby Nai Pak with Sun-Dried Oyster Dumplings, Black Mushrooms and Superior Reduction. 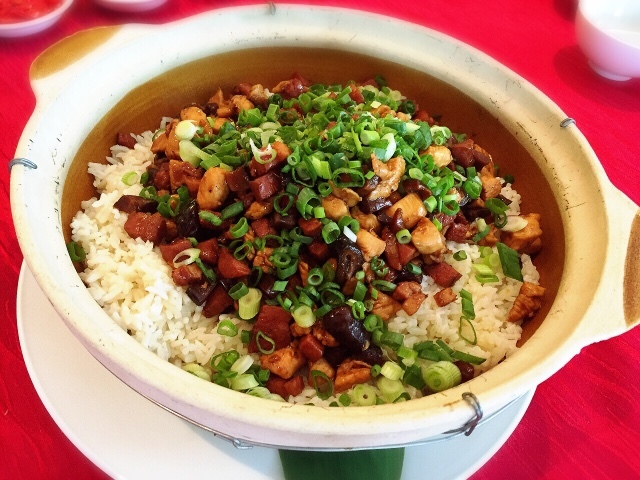 Jasmine Rice cooked with Chicken Fat, Smoked Duck and Mushrooms. 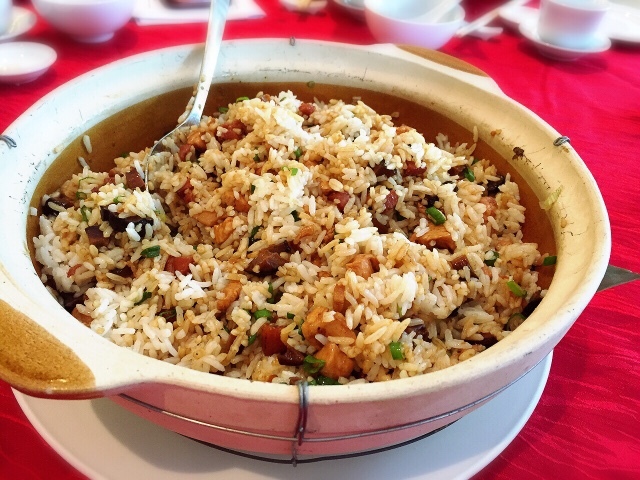 Fragrant and flavourful rice. Sinfully good! Crispy Deep-Fried Brown Sugar Cakes layered with Sliced Yam and Sweet Potato paired with Lotus Puffs. Not too sweet, perfect ending to our meal. 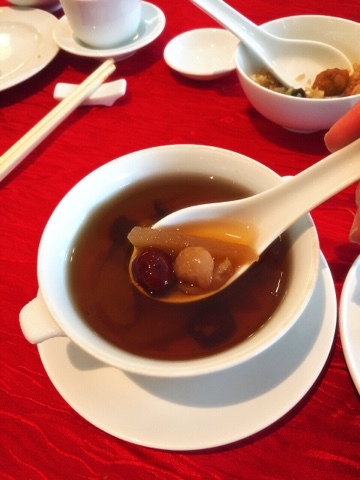 Sweetened Chilled Pear, Dried Longan, Red Dates and Rock Sugar.